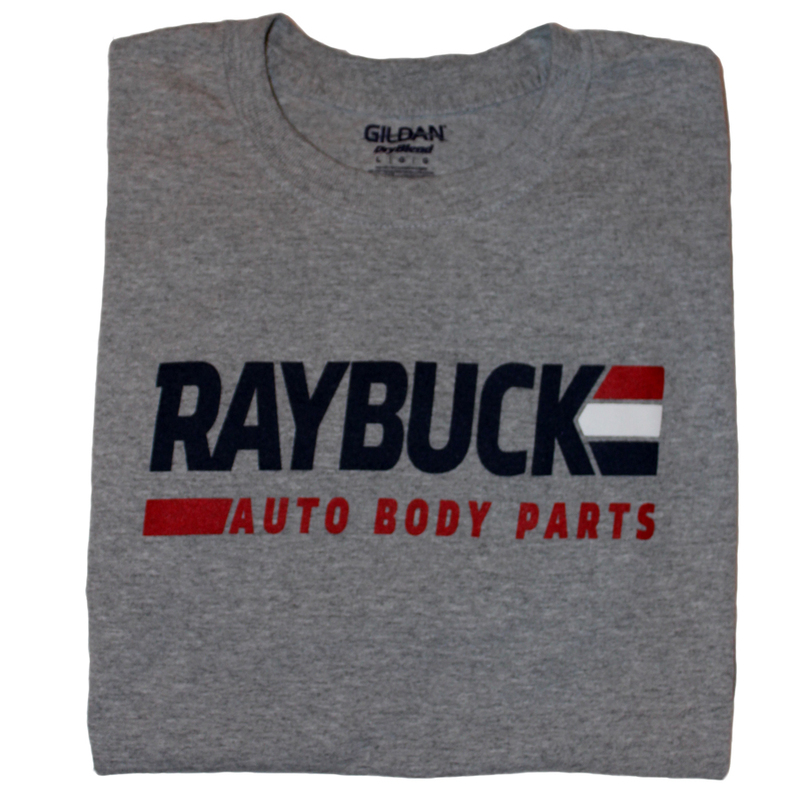 This T is a 50/50 blend of cotton and polyester, providing a soft, comfortable fit. It won't shrink or wrinkle like a cheap 100% cotton shirt. It's gray and has artwork printed on the front and back. 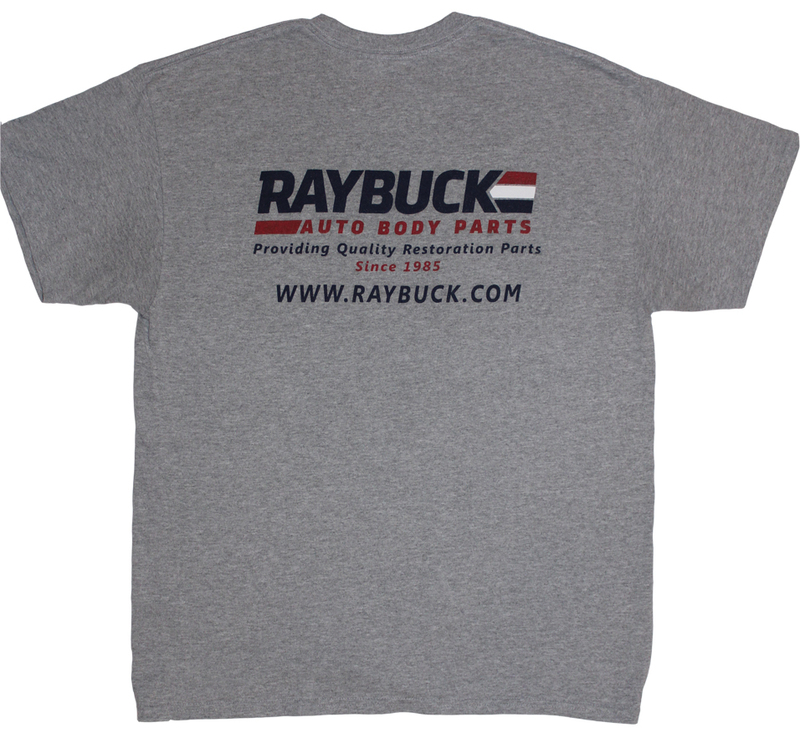 Proceeds from all T-shirt sales go toward the Raybuck employee benefit fund. Nice, thick t-shirt that fits well, and it didn't shrink in the wash. Thanks for the koozie too!